I've been away from the patch for the last couple of weeks on my near-annual migration to Tarifa in southern Spain to witness the spectacle that is the raptor migration across the Straits of Gibraltar as birds of prey from Europe travel south to Africa for winter. Conditions were very good for the birds for the first half of the trip, with tens of thousands of birds passing through but high - like hayflies as Alan Gilbertson describes them. These were mostly honey buzzards and black kites with short-toed eagles, booted eagles, Egyptian vultures, sparrowhawks and griffon vultures. 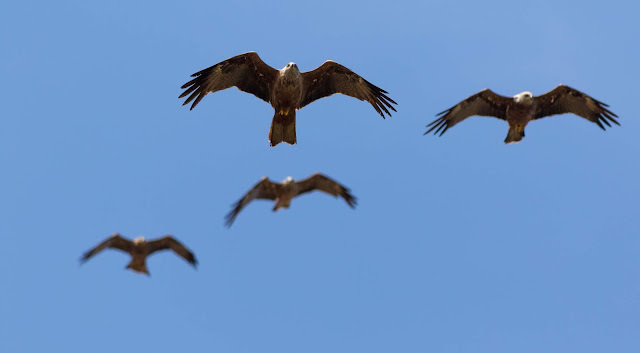 When the wind blows, which it does a lot in the Straits, the birds drop lower (especially in the Levante wind from the East which could blow them into the Atlantic) bringing them closer to the observers and photographers who are also there in great numbers. As well as raptors there are migrating storks, waterbirds and passerines alongside the resident birds in the peninsula. There are hundreds more photos to sort which I will eventually get onto my Flickr account. 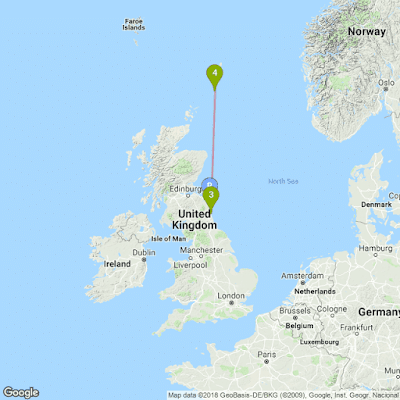 We've had news from the BTO about a robin we ringed in July last year, it was still in juvenile plumage when we caught it so will have hatched at Druridge. Sadly it was found dead last week in Redcar, where presumably it had taken up residence. Even though Robin is the second-most commonly caught bird by us at Druridge, this is the first ever recovery we've had. The BTO have also released the annual ringing report for 2017 which you can find on their website. 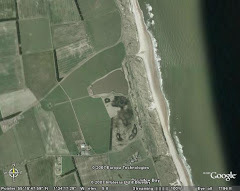 At Druridge yesterday (22nd). Mixture of Warblers in bushes at start of track to hides. One rather pale bird, seemed bigger than Willow/Chiff, but that could be a trick of light and colour difference. Light back, paler underside. Colour of head and back seemed even and unmarked. Faint supercillium. Yellow mark showing in front of folded carpal joint. Looked longer billed that W/C. I struggle with brown/green Warblers because I'm red/green/brown colour blind. Probably a juvenile of something. Head/face shape looked wrong for Garden W.
One Chiff singing as if it were Spring!